Bird feathers are incredible. They help control body temperature, provide power for flying and come in a wide array of vibrant colors. Some feathers are so beautiful that they were sought out in massive quantities for the adornment of clothing and hats in the late 1800s. Some hats even included entire stuffed birds, a macabre display that seems ridiculous in modern times. And yet, by 1900, more than five million birds were being killed each year to meet the demand for plumes. Nearly ninety-five percent of Florida’s shore birds were being destroyed by hunters. Campaigns by the Audubon Society failed to appeal to women to stop seeking plumed items. 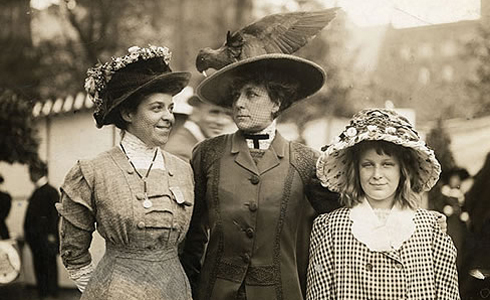 The Audubon Society was no match for their more powerful adversaries in the millinery industry who fought against all proposed laws to protect birds. But in 1900, John F. Lacey succeeded in getting the Lacey Bird and Game Act passed, which made it a federal crime to transport birds killed in violation of any state law. Government agents soon began confiscating huge shipments of bird skins and feathers. Old attitudes and beliefs die hard. Five years after the Lacey Act was passed, a game warden was murdered in the Florida Everglades by poachers. Three years later, another game warden was shot. But there were champions of the wild that remained undeterred. In 1881, a German immigrant by the name of Paul Kroegel had homesteaded with his father on the west bank of the Indian River Lagoon, Florida. There, he could look out to a five-acre mangrove island and watch thousands of brown pelicans and other water birds. He grew to love Pelican Island so well that he made it his job to protect it by standing guard with his gun. Kroegel was visited by many naturalists from the 1880s to the early 1900s including well-known ornithologist, Frank Chapman. Chapman was the curator at the American Museum of Natural History in New York and a member of the American Ornithologist’s Union. Because Pelican Island was the last rookery from brown pelicans on the East Coast of Florida, he pledged to protect the birds. In 1901, the American Ornithologist’s Union and the Florida Audubon Society championed successful legislation in Florida for the protection of non-game birds. Kroegel was one of four wardens hired by the Florida Audubon Society to protect water birds from market hunters. It was two of those wardens that were murdered in the line of duty. Chapman and his fellow bird protection advocate, William Dutcher, were acquainted with President Theodore Roosevelt, who had become President in 1901. 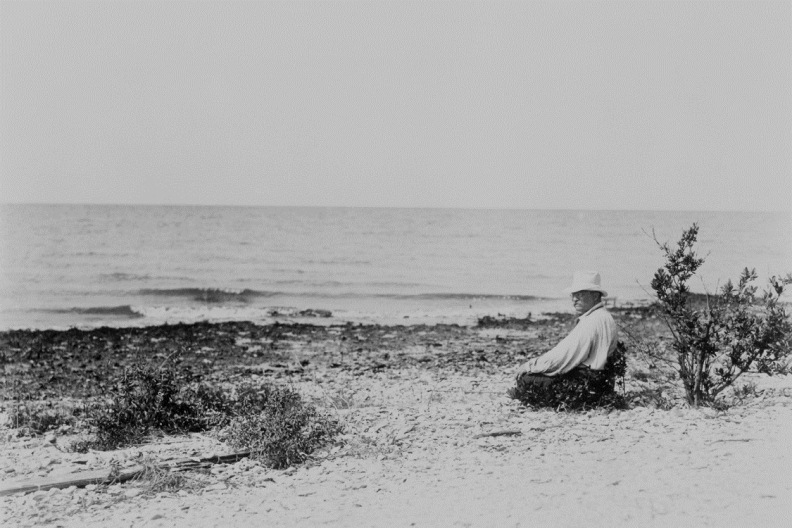 They visited Roosevelt at his home in Sagamore Hill, New York and informed him of the situation at Pelican Island. 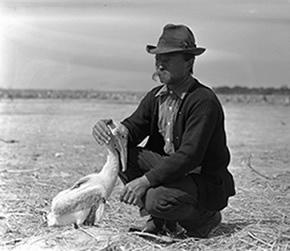 On March 14, 1903, without fanfare, President Roosevelt signed an executive order establishing Pelican Island as the first federal bird reservation and thereby creating the first refuge set aside by the federal government for the sake of wildlife. Paul Kroegel was hired as the first national wildlife refuge manager. He was paid one dollar each month by the Florida Audubon Society because Congress had not set aside funds for the refuge. Kroegel stood watch over Pelican Island until he was retired from federal service in 1926. In the 1960s, local citizens again protected Pelican Island from attempts to sell surrounding wetlands and islands to developers. The Indian River Area Preservation League, comprised of local citrus growers, commercial fishermen, and sportsmen, came together with the Florida Audubon Society to successfully appeal to the State of Florida to include 422 acres of mangrove islands as part of the refuge. In 1963, Pelican Island was designated as a National Historic Landmark by the Secretary of the Interior because of its status as the first refuge set aside specifically to protect wildlife. In 1968, the State of Florida agreed to expand the lease with the refuge to include 4,760 acres of mangrove islands and submerged lands. In 1970, Pelican Island became the smallest wilderness area (six acres) in the National Wilderness Preservation System and has since acquired an additional 500 acres along its eastern boundary to provide a buffer against encroaching development, and links to the Archie Carr National Wildlife Refuge. The ecosystems of Pelican Island National Wildlife Refuge support hundreds of species of birds, fish, plants, and mammals. This includes numerous federally listed threatened and endangered species such as the West Indian Manatee, roseate tern, piping plover, wood stork, green sea turtle, Kemp’s Ridley sea turtle, and hawksbill sea turtle, the loggerhead sea turtle, Atlantic salt march snake, eastern indigo snake, southern bald eagle, and Arctic peregrine falcon. Other common wildlife includes the raccoon, bobcat, osprey, ground doves, river otter, opossum, and many species of songbirds. Due to its location along the Atlantic flyway, the refuge has the most diverse bird population in North America. Isn’t it amazing how everything is connected? The efforts of a handful of determined people to protect birds from a frivolous, yet ravenous fashion trend, more than one hundred years ago, resulted in a legacy that continues to protect thousands of plants and animals. Here is a fantastic video by Untamed Science about Pelican Island Wildlife Refuge.